Spring is right around the corner and it’s time for an update! 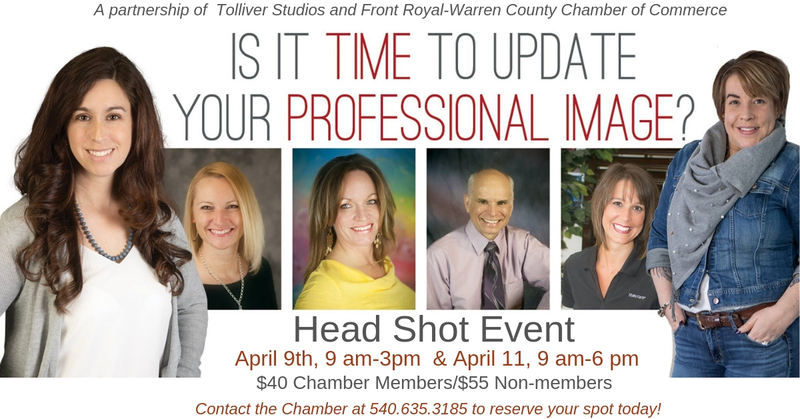 The Chamber has partnered with Tolliver Studios to update your professional head shot. Cost is $40/Chamber members and $55/Non-members. You will receive one digital image of your choice. Additional images available through Tolliver Studios. Appointments available every 15 minutes. Contact the Chamber 540.635.3185 to reserve your spot today. Payment must be received in advance of the event.